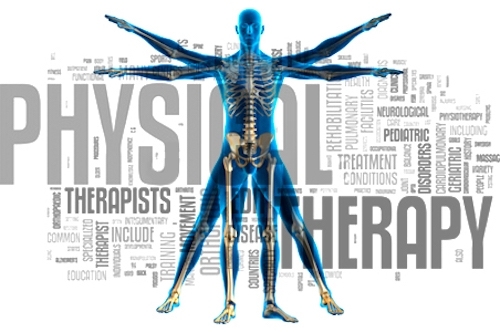 is physical therapy right for you? As our patient, you are our partner in rehabilitation. Together, we will work as one team to reach your goals. Your personal physical therapist will spend time getting to know you and your lifestyle and listen to your concerns. Only then will Jeny Bauer, DPT create a treatment plan to solve your problem, relieve your pain, and restore function. With our expert knowledge and resources, HEC will be there for you to make sure your body performs at its peak-today, tomorrow, and beyond. Remember to wear clothes that are easy to move in. Upon arriving, we ask that you check in with the front desk and have a seat until your therapist meets you. Please do not begin any activities until you receive instructions. It is policy to protect our patient’s identity and take steps to prevent, detect, and respond to suspected or confirmed identity theft. All new patients and clients will be required to provide valid photo identification (Driver’s License, State ID, Passport, School ID) in addition to their insurance card. HEC also offers home equipment and tools to assist you with your rehabilitation with your home programs or with your wellness needs. Please inquire if you would like additional information about these products and services. During your first visit, your therapist will conduct an initial evaluation to assess your current condition. Your initial evaluation may consist of objective findings and testing followed by developing an appropriate treatment plan, encompassing a home-exercise program, and discussing the length and frequency of your rehabilitation. A copy of your Initial Evaluation will be sent to your physician. Your therapist will develop functional goals based on your physical needs and desires. To ensure clear and concise communication to your doctor and insurance provider, your therapist will use electronic documentation during each visit to document your treatment and progression toward these goals. Once you have scheduled your appointment and have provided insurance information, as a courtesy we will verify your health insurance benefits for physical therapy. Please note that insurance quotes are not a guarantee of benefits or coverage. We encourage you to review and confirm your rehabilitation benefits with your insurance company as they may differ from your standard medical coverage. Please feel free to contact Megan at (507) 337-2457, if you would like a record of your charges prior to you receiving your bill. Although it may take 30-60 days to receive a bill for your deductible and co-insurance, all co-pays are expected at time of service. We appreciate your understanding and cooperation. Do you have a physical therapy prescription from a doctor? Other than a referring doctor, how did you hear about us? By clicking Submit, you agree to receive communication from The Health Enhancement Centers.